Couples Memory Package Includes digital files! See your portraits NEXT DAY! 20-25 minute session at different settings on the beach. 10-12 Beautifully Edited digital files. On-line viewing site for choosing and sharing portraits. Special phone app for viewing and sharing your portraits. All hand retouched portraits are digitally delivered in high resolution with full photography release. This package is for Couples Only. Perfect Family & Large Group Package $399 Includes Free 16x20 Portrait Print! And digital files! See your Portraits NEXT DAY! 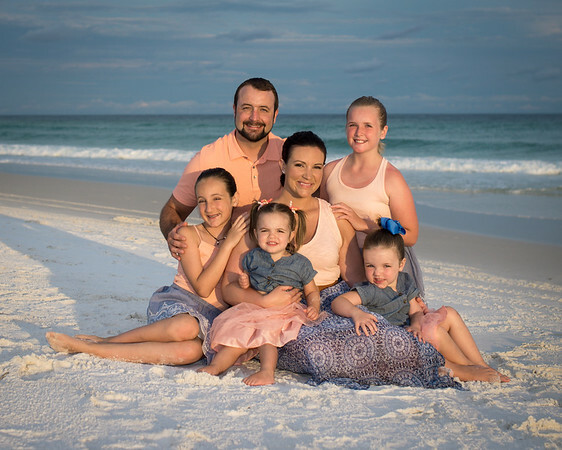 This full session with a skilled Destin Beach Photographer is our most popular package! With professional posing, using natural and artificial light, we will capture the Portraits you have always envisioned. Portraits will be taken by the Sand Dunes, and the beautiful Gulf of Mexico waters edge, We will take posed as well as candid shots to capture these extra special moments. Multiple portraits taken at different locations on the beach with options for individuals, families (groups), couples, and candids. On-line viewing site for choosing and sharing your portraits. Special app for viewing and sharing on your phone. Special Print Package Available for $29.95 (A $95.00 Value). Includes 2- 8x10's and 3 5x7's. Additional prints and sizes are available.